I love it when gadgets disguise themselves as decor. If you look at any of Google’s home products, they make use of domestic-friendly colors, soft forms, and even fabric clads. 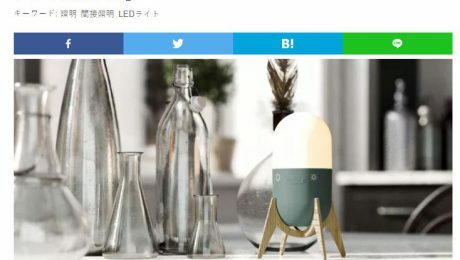 The design team feels that a device (electronic or not) that sits in your home should blend into its homely atmosphere, not look like something from Blade Runner. Edgy, futuristic products don’t sit well in cozy homes. The Lucis 3.0 follows that thumb rule by making tech more domestic and versatile at the same time. The result is a product that doesn’t just look beautiful in an apartment, it serves its multiple purposes wonderfully too, making it a great product in both departments. The Lucis 3.0 is essentially a battery with multiple components attached to it, most perceivably, a lamp. However, the Lucis 3.0’s battery also serves as a power bank, and comes with a wireless charging surface too, so the Lucis 3.0 can not only illuminate rooms, it can juice your phone too. Styled to look primarily like a lighting device, the Lucis 3.0 comes with a capsule shape that either sits independently or on a quaint three-legged wooden stand. Designed with contemporary styling, the device fits well in most modern homes, serving as a neat table lamp that can be carried around with you and placed anywhere in the house. With a dimmable LED on the inside, the Lucis 3.0 can set the mood while also allowing you to choose between 16 million colors. The 8000mAH battery on the inside gives the LED 88 hours of power, or can even fully charge your phone twice. With a light at one end, the other end of the Lucis serves as a wireless power bank. Invert the Lucis and place your phone on top of the flat surface and it instantly begins charging. The bank comes with a built-in outlet too, allowing you to use a cable to charge your phone. Its robust casing is made to be splash proof, so you can use the Lucis at the poolside, the dining table, or even in the bathtub. Choose between a Simple dual-color lamp variant, or the Twist Color with a dimmer dial and a 16 million color LED bulb to light up your life and power your phone. You’ve even got a wide choice of stands and accessories that allow the Lucis to blend into your decor as well as stand out as a well-designed, home-friendly piece of tech! Click here to Buy Now: $ 79 $ 135 (41% off). Hurry, less than 24 hours left! There’s a lot going on with this little pod. The Lucis 3.0 Mood Lamp gives you a portable mood light & enough backup power to share with your friends. It’ll charge iPhone X 3 times, works as a wireless Qi charger and cable charger, offers touch sensitive dimming, 250 lumen brightness and color-changing mood lighting with more than 16 million colors. Battery life: up to 88 hours. A funded Indiegogo. 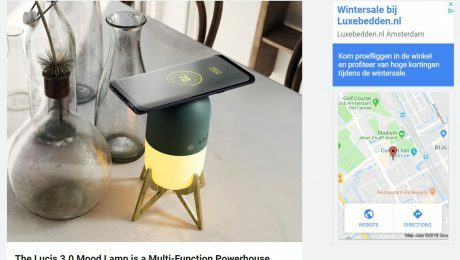 Indiegogo is invariably a hotbed of great tech projects to get behind but one of the best we’ve seen in the last few months is certainly this Lucis 3.0 Mood Lamp & Qi Wireless Charger because it offers multiple uses all under one umbrella and that’s why it’s easy to see why it has flown past its funding target over on the crowdfunding platform. This cracking bit of kit is easy to set up and use and is a mighty functional piece of design which will elevate the style of any creative’s workspace. The Lucis 3.0 Mood Lamp & Qi Wireless Charger is a first class piece of tech which immediately draws the eye and the versatile nature of its performance capabilities are sure to appeal. This excellent device comes in four different styles and is a cordless portable lamp that combines top class Dutch-design with unparalleled functionality. Whether using indoor or outdoor; you can set the mood wherever you go. Merge the possibilities of 16 million colours with charging functionalities in the power bank and wireless charging functions, the Lucis 3.0 is packed with an enormous battery capacity and will give you up to 88 hours of continuous lighting. With excellent wireless charging capabilities, the Lucis 3.0 is really setting the bar with what can be accomplished with devices of this nature now and it will elevate the overall aesthetic of any space you deploy it whilst providing lighting and power for your other pieces of tech. This cracking accessory is equipped with strong RBG full Color LEDS that have a maximum output of 180 up to 250 Lumen (30watt). Each one also has special touch sensors that control the brightness and dimming. Touch the sensors and play with light – it’s as simple as that. All the Lucis 3.0 Mood Lamps & QI Wireless Chargers are crafted from the best Grade materials and built to the highest standards possible. This includes top quality matte plexiglass upper housing and solid aluminium ring which means this device is the ideal portable lamp and they are splash proof so you don’t have to worry about a little rain when using them outdoors. There is a tangible sense of quality to this product that helps to set it apart from the competition. 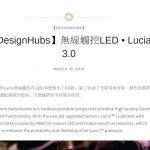 In addition to the Lamp & QI wireless charger, Lucis are also creating a brand-new line of designated Lucis™ 3.0 accessories, which have been created to enhance the portability and flexibility of all Lucis™ products including this latest project on Indiegogo. You can also let Lucis™ set the mood for you with one of the automatic light programs. There is a light program for any setting, whether it’s a dinner party or a quiet night at the beach. We’re always looking for new bits of tech for our workspace here at Coolector HQ and functional pieces of design like this brilliant Lucis 3.0 Mood Lamp & Qi Wireless Charger is the sort of thing we find ourselves gravitating towards. It has a great degree of versatility in performance and is capable of wirelessly charging your devices whilst simultaneously delivering an ambient lighting for any environment. Priced at a mighty reasonable $79 during the Indiegogo campaign, the Lucis 3.0 Mood Lamp & Qi Wireless Charger has definitely got our vote here at The Coolector for anyone seeking out the next addition to their workspace. Great value and even better performance, there really is nothing not to like about this superb piece of design that has already, somewhat unsurprisingly, reached its funding target on Indiegogo – head on over and bag yours for a bargain price now. Lucis 3.0 is an ambient light that looks like a small pill from a stand. Users can choose the “feeling” light color and atmosphere from 16 million colors as needed. In addition, Lucis is a charger that you can use to charge your device with a data cable. Or, as the designer suggested, when you are having a meal, you may want to put the phone above or below the non-lighting part for wireless charging, so that everyone can concentrate on chatting. 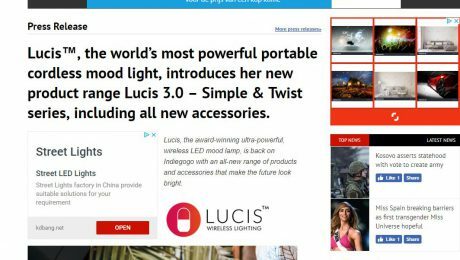 Lucis™, the world’s most powerful portable cordless mood light, introduces her new product range Lucis 3.0 – Simple & Twist series, including all new accessories. Lucis, the award‐winning ultra‐powerful, wireless LED mood lamp, is back on Indiegogo with an all‐new range of products and accessories that make the future look bright. 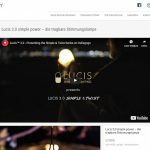 Lucis started it’s mood‐lighting career as one of 2015’s breakout crowdfunding stars, having raised more than $100,000 and going viral with tech, design and gadget media. The product was awarded one of Buzzfeed’s “coolest products of the year”. 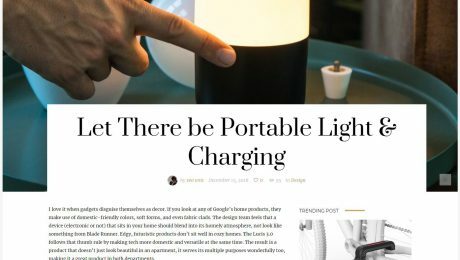 After a promising start, the company had a follow up product line featuring the Lucis Bamboo lamp in 2017; this stylish portable LED lamp proved to be the most powerful portable LED lamp on the market, and, after another successful Indiegogo campaign, was distributed throughout the world. 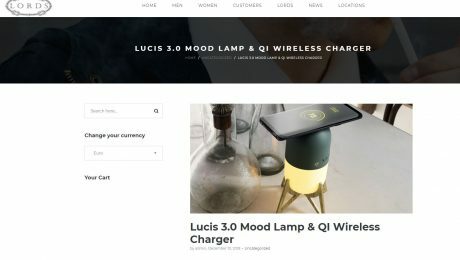 Now, 1 year later, the company is back with a brand new product range; Lucis 3.0, ultra‐powerful Dutch‐design LED mood lamps that have some game‐breaking features including; wireless phone charging and full powerbank functionality. “With the new series of Lucis Lamps we continued our search towards creating the perfect cordless LED lamp that can set the mood anywhere, anyplace, anytime. Our 3.0 product line features both the Simple & Twist models that are centralized around intuitive function, portability and the sharing of both power and light,” says co‐founder and designer Simon Koop. 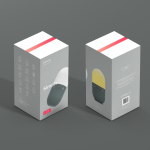 “Our new models were greatly influenced by the notion that people should connect and find each other, we wanted to create a truly social mood lamp that combined clean looking Dutch‐design and great functionality to create the perfect setting”. The Lucis 3.0 Simple is equipped with strong LEDs that have a maximum output of 180 lumen. The lamp is easy to use thanks to the stylish touch sensors that control the lamps brightness level. The lamp is aesthetically similar to its big brother; the Lucis 3.0 Simple Power, which is equipped with a powerful 8000 mAh battery capable of giving you 88 hours of continuous lighting. 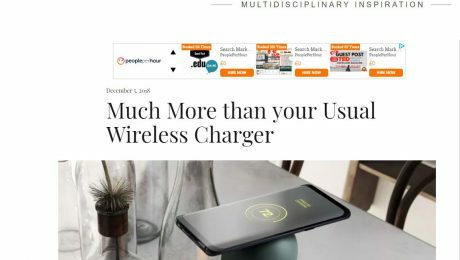 Besides that, Lucis has an innovative feature (with the exception for the Lucis Simple model), which tech‐lovers will adore; a powerbank ‐function that will charge your phone wirelessly. The company also introduced another brand‐new feature in the Lucis Twist; simply twist the top of the lamp to control brightness and color, creating a beautiful ambiance. The Lucis 3.0 Duo Color Twist is the first lamp to be outfitted with this technology. 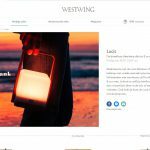 This twistable lamp has the same wireless phone charging and powerbank capabilities as the Simple Power and is capable of up to 88 hours of continuous lighting in the 2 available light settings; warm white & vibrant orange. The final lamp featured in the Lucis 3.0 line is the Lucis 3.0 Full Color Twist, which is equipped with strong RGB full color LEDs that have a maximum output of 250 lumen. This lamp features all of the functionalities of its siblings combined with the full color spectrum capable of producing over 16 million colors. These colorations can be enjoyed through the use of the 6 dynamic light programs that set the perfect mood for any situation. In addition, Lucis is back with an all new line of accessories that enhance the adaptability causing the lamps to be a radiant addition to any interior design setup. All of the new accessories have full on functionality with any model due to the same 1⁄4 connector, granting the user full customizability in accessory usage. The Lucis 3.0 Simple & Twist series is now available on Indiegogo, starting at the affordable price of 39.95 USD. Innovative Brands designs, develops, produces and brands consumer products. The company builds high‐end solutions for their clients through a worldwide production and distribution network. As a Holland based company, Innovative Brands has strong Dutch design roots with the highest quality standards. The head of design has more than a decade of expertise designing sports cars for Spyker. The sourcing and production department of Innovative Brands has several years of experience working with production facilities in markets worldwide. A portable mood lamp “Lucis 3.0” developed by the Innovative Brands Company of the Netherlands. It corresponds to 16 million colors, and you can adjust the light with the touch sensor. Battery capacity is 8,000 mAh. It operates up to 88 hours with full charge. Also, because it has some waterproof performance, it seems that it can be used even in a bathroom. Currently, cloud funding is underway at Indiegogo. Available from $ 32 (about 4,400 yen) + shipping cost. If the project is successful, it will be shipped in April 2019. Lucis 3.0 is compatible with the international standard “Qi” for wireless power supply and can charge iPhone etc. wirelessly. Since the battery capacity is 8,000 mAh, you can charge it 3 times if iPhone XS. There is also a USB port so you can charge it with wires. A convenient mood lamp born in the Netherlands seems to change the atmosphere of the room as well as the mobile life. Lucis™ introduces 4 brand new wireless, touch-activated mood light with built-in power bank and wireless charging functions. The all-new Lucis 3.0 is equipped with strong RBG full-Color LEDs that have a maximum output of 180 up to 250 Lumen (30watt). Packed with an enormous battery capacity Lucis™ 3.0 will give you up to 88 Hours of continuous lighting! Lucis is equipped with special touch sensors that control the brightness and dimming. Touch the sensors and play with light. All Lucis lamps are made from high-quality matt plexiglass upper housing and solid aluminum ring. Lucis is the ideal splash proof portable lamp. Indoor or outdoor; you determine the atmosphere. This Dutch-design LED lamp produces over 16 million colors that can be enjoyed in any setting. Click here to Buy Now: $79 $135 (41% off). Hurry, this is exclusive for YD readers! Let’s change the atmosphere of the room! Just changing the light changes the atmosphere of the room. Even if the ceiling light on the ceiling of the room is common, it is a place where you want to devise some idea for indirect lighting. 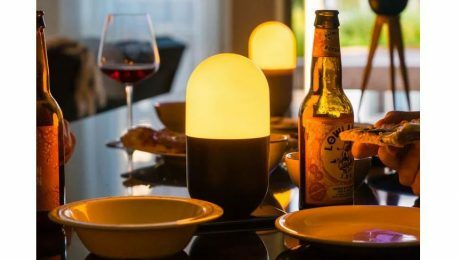 “Lucis 3.0” is an LED lamp that produces the perfect light for each occasion, such as a fussy party with friends, a happy evening spent with family, dinner time for only two people. With a large capacity battery, you can not only use for a long time but also charge the mobile device easily. Lucis 3.0 is a cordless portable rechargeable LED lamp. High quality design with no protrusion using acrylic resin or aluminum is born in the Netherlands. The upper model is equipped with a battery of 8000 mAh and can be lit continuously for up to 80 to 88 hours with 3.5 to 4 hours of charging. Because it is drip-proof specification, there is no need to worry if it will take a little water. The top model with full-color LED can develop 16 million colors. Also equipped with dimming function, you can enhance the atmosphere by setting the right light for indoor or outdoor. Color and brightness can also be controlled with a touch sensor. It can be used as USB power bank (5 V 3A), wireless charging of mobile equipment is also possible. 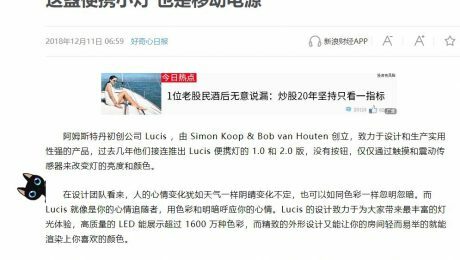 Lucis 3.0 is divided into four models depending on the coloring number of the LED, the battery capacity, and other functions. For models that do not have full color LEDs, it is possible to switch between two colors, yellow and orange, and the battery capacity is 8000 mAh and 2000 mAh. In addition to being equipped with “rope accessories” to hang, there is also a tripod type other wooden mount, so the available scenes will expand further. 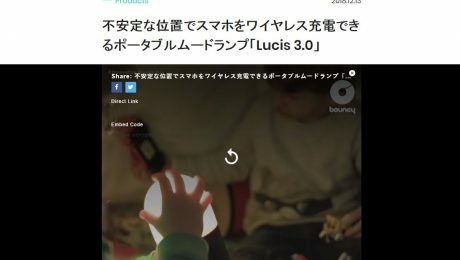 Lucis 3.0 is disclosing an equity capital from Indiegogo starting at $ 39 (about 4400 yen). Is not it a retro but it is not so inorganic, but rather a discreet design comes from the desire to change attention to color change. Although the state of hanging is not bad, desktop is perfect for playing by changing the color and using the charging function. This portable small light is also a mobile power source. The Amsterdam startup Lucis, founded by Simon Koop & Bob van Houten, is dedicated to the design and production of practical products. In the past few years they have launched the 1.0 and 2.0 versions of the Lucis portable light, with no buttons, just touch and vibration sensors. Change the brightness and color of the light. In the view of the design team, people’s mood changes like the weather, and the changes in the mood can be as bright as the color. And Lucis is like a follower of your mood, echoing your mood with color and light and darkness. Lucis’s design is dedicated to bringing you the richest lighting experience, with high-quality LEDs that showcase more than 16 million colors, and the sophisticated form factor makes it easy to render your favorite colors in your room. Currently, Lucis is on the 3.0 version, and its casualness is also portable. You can take it with you, step on the garden, walk the beach, hike outdoors, and have its own waterproof function. 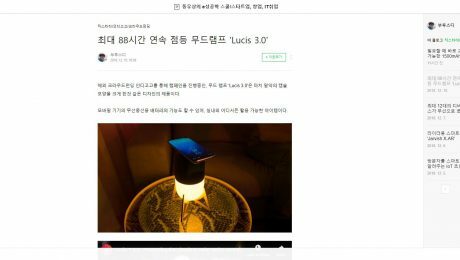 It’s actually a mobile power supply with a wireless charging surface, so Lucis 3.0 not only illuminates the room, it also provides charging support for your phone. This capsule-shaped lamp can be placed either on its own or on a quaint three-legged wooden frame. Currently, its early bird price on the crowdfunding site Indiegogo is $79. 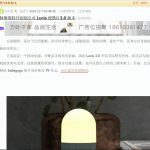 Overseas crowdfunding The mood lamp ‘Lucis 3.0’, which is being promoted through the indigo gogos, is designed to look like a pill-shaped capsule. It can also function as a battery for wireless charger of mobile devices, and it is an item that can be used anywhere indoors and outdoors. It is a portable battery with a brightness of up to 250 lumens and a battery capacity of 8000mAh. 8000mAh is enough to charge IPhone 3 times. Although it can be charged to a mobile device through a USB cable , the capsule-shaped bottom of Lucis 3.0 features a wireless charging pad. As a method of operating the lamp, a touch sensor is adopted and operation is possible with a simple touch. It can express more than 16 million colors, and can be used in various ways such as mood. It can be mounted on a dedicated bamboo stand of ‘Lucis 3.0’ or hang on a ceiling with a string. Or it may be rolled on the floor. The maximum lighting time is 88 hours! ‘Lucis 3.0’ has a lineup of four models, and the top model ‘Full Color Twist’ has all the features described above. For the inexpensive version ‘Simple’, the battery capacity is 2000mAh and there is no wireless charging function.